Dr. Kent D. Peaslee, the F. Kenneth Iverson Chair of Steelmaking Technology and Curators’ Teaching Professor of metallurgical engineering at Missouri University of Science and Technology, died today (May 17, 2013) at age 56. Visitation for Dr. Kent Peaslee will be held 5-8 p.m. Monday, May 20, and 9-11 a.m. Tuesday, May 21, at Greentree Christian Church, 800 Greentree Road in Rolla. Funeral services will be held at 11 a.m. Tuesday, May 21, at Greentree Christian Church. Interment will follow in the Rolla Cemetery. Funeral arrangements are under the direction of Null and Son Funeral Home in Rolla. Peaslee joined the Missouri S&T faculty as an assistant professor in 1994. He was promoted to associate professor in 2000 and professor in 2005. He was named a Curators’ Teaching Professor in 2006 and became the university’s first Iverson Chair in 2007. The chair was established through a $2 million gift from Nucor. In 2007, Peaslee received the Governor’s Award for Excellence in Teaching from former Missouri Gov. Matt Blunt. At Missouri S&T, he received numerous Faculty Excellence Awards and Outstanding Teaching Awards, as well as the Dean’s Teaching Scholar Award. He also received the Class of 1942 Excellence in Teaching Award from the Miner Alumni Association. 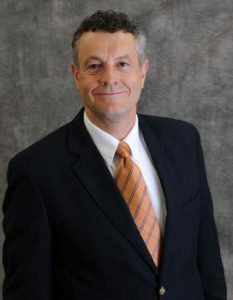 Prior to joining the university, Peaslee worked in the steel industry for 13 years and was general manager of technical services for Bayou Steel (now ArcelorMittal LaPlace). Peaslee served as president of the Association for Iron & Steel Technology. He also served as associate chair of undergraduate studies in the Missouri S&T materials science and engineering department. Peaslee was a manufacturing and process metallurgist with research interests in waste and metals recycling, steelmaking, inclusion engineering, continuous casting, steel manufacturing energy optimization, metal-refractory interactions and environmental aspects of metals manufacturing. He was a member of the American Society of Engineering Educators, American Foundry Society, Sigma Xi, Tau Beta Pi and Kappa Mu Epsilon. Peaslee earned a Ph.D. in metallurgical engineering from Missouri S&T in 1994. He earned a bachelor of science degree in metallurgical engineering from the Colorado School of Mines in 1978. Memorial contributions are suggested to Greentree Christian Church in Peaslee’s name, or to the Peaslee Scholarship Fund at Missouri S&T. To contribute to the Peaslee Scholarship Fund at Missouri S&T, visit givingtomst.missouri.edu and choose “other” in the drop-down menu, then specify the scholarship name in the comment section. Mail checks to university advancement records, Room 112 Campus Support Facility, 1201 State St., Rolla, MO 65409. Please note the scholarship name in the memo portion of the check. Kent was a great friend of mine. I am so sad. May his soul rest in peace. My condolence to the Peaslee family. I am so shocked to hear Professor Peaslee has passed away; I still cannot believe it! I met and had a brief discussion with him at the AIStech 2013 conference. I was so honored he attended my presentation during the conference. This is a significant loss to the steel industry. What a nice man he was! My condolence to his family. Dr. Peaslee was a very inspirational faculty member. 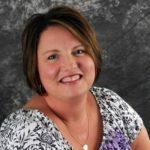 This is a great loss to the Missouri S&T community. My sincere condolences to the family. Dr. Peaslee was my grad school advisor and one of the greatest people I’ve ever had the chance to know. He inspired me during my time under him and I’ve always respected him for that. My deepest condolences to his family and loved ones. He will certainly be missed. May your soul rest in peace, Sir. Thank you for everything you taught me. 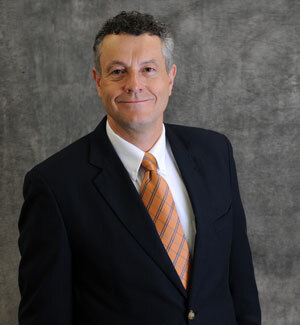 Kent was the 2012-2013 President of the Association for Iron & Steel Technology. We have lost a very dear friend of AIST and the global steel industry. If there is any saving grace, it is that I hope both Kent and his wife Mary had a wonderful time together just last week at AISTech … a week-long celebration of his thoughtful leadership in AIST, his enduring passion for helping all students and his unwavering commitment to serve the steel industry. Our most sincere condolences to his wife and family. He has impacted my life a great deal, he always challenge me to be a better person and to work hard for my dreams. I would not be where I’m with out his guidances. Dr. Peaslee will be greatly missed by so many people in the academic and steel communities. He was agreat friend of steel, of AIST, of U. S. Steel and of so many students who had an interest in manufacturing. I have always held deep respect for Kent and his beliefs. May he rest in peace and his memories live on for many years to come. My condolences to his family. I am shocked and devastated by this news. Kent was the epitome of professional, yet one of the kindest, most down to earth and genuine people I have ever had the privledge to work with at AIST. He will be sadly, terribly missed. My sincere condolences to Mary and his family – you are all in my thoughts and prayers. What shocking and sad news. I had the pleasure of working with Kent over the past year during his tenure as president of AIST. My sympathies to his wife and family and all of his many friends and colleagues. Kent will be sorely missed. I am extremely shocked to hear the news. Dr. Peaslee was my grad advisor and a great guide. I was lucky to have him as my advisor and professor as he cared for students a lot, so its a great loss for students as well. My deepest condolences to his family members. Rest in peace Dr.Peaslee. I am so sad to hear this. He was such a good man, and great teacher. He will be missed, my thoughts and prayers are with his family. I am still in shock. Someone please tell me this isn’t true! Kent was such a great teacher, great professor, great advisor, and great man. I could go on and on with all the invaluable advice I received and continue to use as my compass to this day. One thing I think all us students and friends can do to continue his legacy is to keep the values he instilled in us as our guides for our careers and lives. In that way, he can live on through us. May the soul of the faithful departed, through the mercy of God, rest in peace. And may God protect and keep his family through this difficult time. My condolences to Kent’s wife and children, and to his greater Missouri S&T family. I had the pleasure of meeting Kent in my capacity as Chair of the AIST Midwest Chapter. Kent’s presentation to our group was fantastic. And, while conversing with him during dinner I came to appreciate his love for his family and the work he did for the steel industry. May his family take comfort in the positive influence Kent had on so many people. He indeed will be sorely missed. I’m totally shocked. Dr. Peaslee is the reason I entered the metallurgical engineering program. There’s nothing to say that hasn’t been said; what a tragedy. Kent was a dear and close friend to me and my family and a neighbor for years. Our sons grew up together and to this day we have shared many stories, some sad some happy. Through it all Kent never wavered in his beliefs that God is good and just and always right. While I don’t know why the good Lord chose to bring him home now I believe that the seeds Kent has sown throughout his life will continue to reap eternal benefits. You will be missed my friend and brother in Christ. I’m very sad hearing this news. I spent two years in Rolla, Dr. Peaslee give me great help both research and life. Dr. Peaslee is the kindest and excellent person who I met. I respect and miss him forever. Very shocked and sad by this news! Even though I only met him few times but he was a so nice person. I was very shocked and sad by this news. I cannot believe it until I saw the news on S&T’s website. I stayed in S&T for two years, and Dr. Kent Peaslee is one of the best professors I have ever seen. I just read this news. I am sure his soul is resting in peace. My condolences to his family. We have lost a wonderful example of a friend and a total professor — great in teaching, research, service and humanity. What a shock to lose Kent so soon, but what a pleasure to think back on a life well lived. Will never forget sharing a room with Kent our first year at Colorado School of Mines, learning to play handball together, staying sane in spite of the pressure by listening to Chicago and the Moody Blues and watching Start Trek, being jealous that he married such a beautiful woman, so proud of his commitment to go back to school and thankful to see how he impacted others. Praying God’s comfort for Mary and the family. I have heard this news 12 hours after Kent’s leaving. All of my family have been very sad and in shock for several days. Kent is a nicest brother that my family has ever met. Kent is in the heaven now, we will miss Kent forever. I hope God blesses Mary to let her have a peaceful life. I am thinking what I can do for this shocking situation …… Kent, this is Lifeng, please watch us all the time since we will miss you and think of you all the time. I’m shocked and saddened by the news. He will be remembered as a wonderful teacher and advisor. Thoughts and prayers to his family. This is such sad news to hear, 56yrs young. His contributions will undoubtedly be missed and for me personally, as a May 2000 graduate from the Metallurgical Eng. Dept, Dr. Peaslee will be missed for his kindness and intellegence. I’m proud to have known him. My prayers are with his family and friends. Very sad news for all. My condolences to Dr. Peaslee’s family, friends, associates, and students. I am sorry to say that I did not know Dr. Peaslee, but the comments say much in his regard. The school has had many excellent professors who are missed. Be assured that his ability to change lives thru teaching, lives on in each and every one of his students. I was shocked to hear the news, and greatly regret to know that Dr. Peaslee has left us. He was a great mentor, a great person and have helped my a lot since I ever met him. It was certain that I could not be where I am now without his advise and help all along. He will always be missed, and my condolences goes to his wife and family and all of his many friends and colleagues.